It’s no secret that the restaurant industry is highly competitive. So competitive, that most restaurants balance on a razor thin edge between profits and losses. As a restaurant owner or operator you are constantly keeping an eye on expenses while looking for ways to increase traffic. This blog will explore some overlooked, underestimated and underutilized restaurant marketing tactics for driving more traffic and increasing revenues for your restaurant. We’ve all heard the adage “you have to spend money to make money”, but that doesn’t mean you have to spend substantially to earn substantially. These tactics are low cost and if you can execute successfully, can create significant growth in your revenues. But first let’s quickly cover the basics – the 4Ps of marketing. Before considering any food and beverage strategy you need to consider the 4Ps of marketing. Each of the seven tactics addressed within this blog relate back to the 4Ps; Price, Product, Place and Promotion. We must always consider the price and what our product offering is, where and how we are selling the product (place) and how are we communicating this to our customers (promotion). What this comes down to is ensuring you are offering the right product and price in the right market, while also delivering it in the right market with the right communication method to your demographic. In the future, as you develop your own unique tactics, remember and think through the 4Ps of marketing to help improve your chances of success. Discounting your food and beverage products essentially says “we don’t deserve full price”. Consider this, one of the most common places to find food discounts is the supermarket, items close to expiration often come with a 25% – 50% discount. As a result, discounts often result in the perception of reduced quality in the mind of your customers. Furthermore, a discount may help to drive sales for a limited time, but it does not build customer loyalty. It will become more difficult to achieve similar revenues when the item returns to full price. Your customers may shift to another discounted item, or worse, another restaurant altogether. What should you do? Eliminate percentage-off discounts. Instead offer certificates or a dollar amount off. A minimum spend as an example; “$5 off when you spend $20 or more”, is a great way to help increase the overall spend of each customer. Consider your menu price points when putting this tactic into place. The idea here is for customers to increase their average spend up to the next level of menu price points. Although this will reduce margins temporarily, it creates better perceived value for their visit without a reduction in quality coming to mind. This gives the customer a more positive feeling to their experience and hopefully begins to create the habit of looking at items at this price point first when they come in for future visits. An added benefit of offering vouchers or certificates is your ability to better estimate the total cost of promotion. For example, 100 vouchers worth $20 each has a value of promotional value of $2000 – the cost of your promotion is concrete. A “percentage-off” discount does not offer the same concrete cost estimation and can lead to a serious amount of lost revenue if a table or two racks up a substantial food bill. A “bounce back” is a message displayed at the bottom of your receipts and because every customer receives a receipt, you can use them receipts to help drive further business. You’ve likely noticed that many of your favorite franchises utilize bounce backs, this is obviously for a very good reason – it works! Large franchises continue to spend time and money on market research and focus groups to test various strategies to achieve future business and customer feedback. Leverage their research and use this tactic to your advantage. Your pro shop receipts should be used to encourage golfers to come inside after their round. Restaurant receipts should display an incentive to come back, or advertise for an upcoming event. “Show your golf receipt in the restaurant today and receive a free appetizer with entrée purchase.” – Better to get them inside for some food and beverages then nothing at all. “Bring this receipt back on Tuesday and receive $20 off your order. Minimum spend applies.” – Find the values and day(s) here that work best for you, better to reduce you margins and have traffic then keep them the same and have an empty restaurant. “REGISTER NOW: Mother’s Day is fast approaching, register before the early bird deadline and your mom eats free.” – Earlier reservations offer more flexibility, if you have enough demand add an extra seating. More accurate understanding of staffing and food requirements on this day to minimize excessive use of either and ensure maximization of your margins. “COME JOIN US. The second Friday of every month is our Nine & Dine special featuring live music on the patio. Register before the first Friday of the month and your name will be entered into a draw to win your meal free!” – Early registration allows for better planning on COGs and labour, raffling a meal off can create additional excitement especially if it is a fairly consistent group each time. If you have good food you should show it off! Your golf customers may not know how good your food is, eliminate the “I didn’t know they did that” by offering free samples of your fantastic food. Pick a few of your top selling items and offer samples at the turn to encourage golfers to come inside after their round. 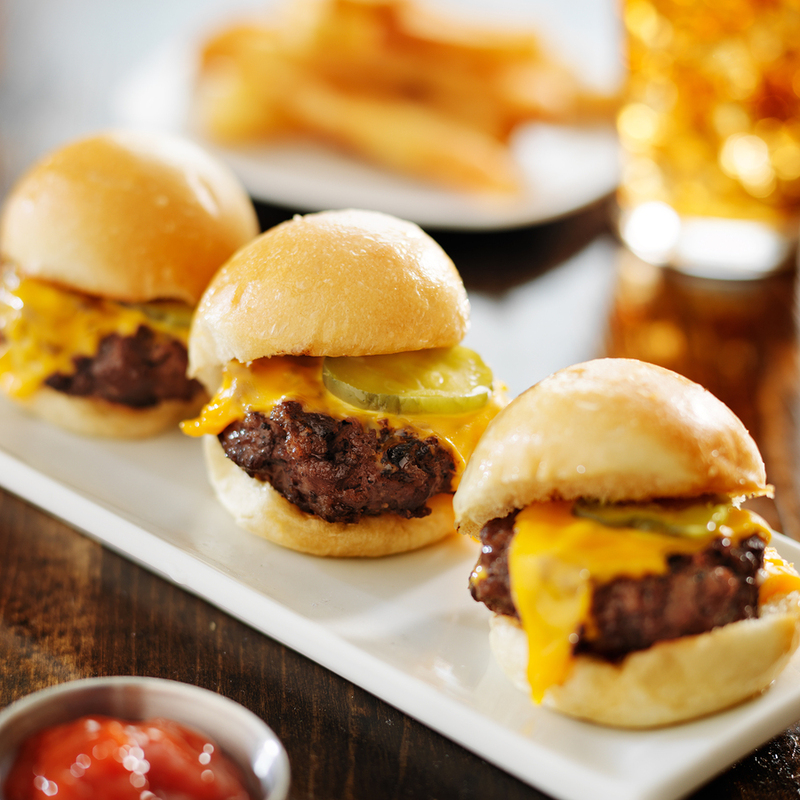 Presentation is key when offering samples – don’t just cut your burger into pieces, create a slider version of the burger. Pizza a top seller at your location - Try focaccia pizza sticks with garlic dip. Whatever you signature items are find a way to scale them down to individual serving sizes that showcase your quality and flavours. Take sampling a step further. More often than not, non-golfers in your area will not know what a great restaurant experience they are missing. If they do know about your restaurant, they may think they’re not welcome unless they’re golfing. Help correct this misunderstanding by offering free samples offsite in a local mall or other high traffic areas. You can even bring your chef, golf pro and most personable server to market the restaurant and facility offerings even further. Hosting an event at your restaurant is a great way to garner local attention to your club and can help encourage non-golfers to come by for a great meal. One such event I utilized was a “Chopped” style competition - local restaurants were invited to a friendly competition at the restaurant. This tactic has some big advantages. Events of this nature establish your facility as the center of the local food scene and your competitors will inadvertently advertise to their customers, within their restaurant, that they should come to your restaurant. To top it off, on competition day you have home court advantage. Use the sampling described above to showcase your food to the audience. Setup some cooking stations for each competitor. If possible, get a few “local celebrities” like the mayor or reputable business owners, to act as judges. You could even make this a charitable event to garner even more attention. And of course use social media to promote before, during and after the event. 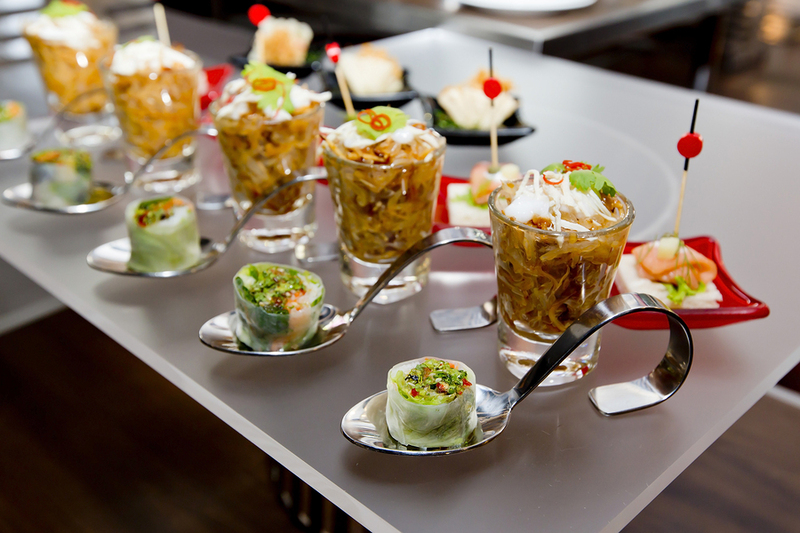 There is so much you can do with food events to promote your restaurant. Encourage large groups to visit your restaurant by advertising to local businesses and committees as a low cost meeting place. Everything from fishing clubs to municipal government groups should be encouraged to host at your restaurant. Something as small as a dollar off each food item can be enough encouragement for groups to use your venue. If you have the resources, you can consider catering to these groups at their location – package materials, food, service and cleanup. Take this tactic to the next level and partner with a not-for-profit, this is a great way to encourage ongoing publicity. You can leverage their resources to help promote your business. Ask them to mention your restaurant to their partners. When hosting not-for-profits, encourage future business by offering a donation rather than a discount on food items; this has the potential benefit of being tax-deductible, still achieves the price point your partner is looking for and increases your community involvement. Restaurants often have a day or two each week which is particularly slow for business. If you must keep the doors open on these days, pick one and with proper advertisement of a promotion it is a great way to collect tremendous attention and traffic. With this in mind consider a promotion something like “Toss Up Tuesday” – have patrons flip a coin for the chance to have the food portion of their bill paid for. This promotion will bring people through your doors that would have never considered you previously – in fact, I would anticipate a line-up out the door on what is historically one of your slowest days of the year. This promotion encourages higher than average checks because customers have a chance to not pay. Two key considerations should you decide to use the “Toss Up Tuesday” promotion – (1) If advertised effectively the turn-out will be massive so make sure you have extra staff (an all hands on deck day), and (2) for efficiency purposes utilize a reduced menu that contains only items with quick order to table turnaround times. This also gives you the opportunity to remove the high cost items from your menu and focus on the higher margin items to minimize losses for when you do have to “eat” some customer checks based on the coin toss results. Who loves a free meal on their birthday? EVERYONE. Who eats alone on their birthday? HOPEFULLY NO ONE. A birthday program can help bring in additional customers you likely wouldn’t have had otherwise. Birthday programs have the added benefit of being an excellent opportunity for data capture. In today’s market, companies charge big money for marketing lists that have been over saturated by various industries. This is the beginning of your own, personalized, opt in, marketing database. Don’t allow birthday guests to just show-up and receive a free meal, require that they sign-up for the program. Once guests have signed up, you can send more direct email marketing campaigns, surveys and of course that free birthday meal voucher each year. These seven restaurant marketing tactics, or a combination there of can help you grow your club’s restaurant business. Don’t just jump into all seven tactics though, implement one at a time, monitor the success, and work your way forward from there. The Total e Integrated team is available if you’d like to investigate any of these tactics further or to discuss how to setup these strategies within your Total e Integrated environment. In addition to the seven tactics outlined above, we can help with topics like: promotions and pricing, F&B event planning, F&B CRM and direct email marketing, menu planning and layout structure, and so much more. Contact us anytime at info@totaleintegrated.com.